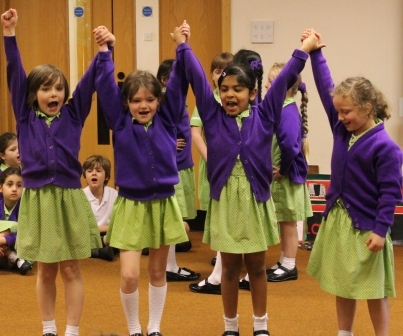 Year 2 visited the Junior School for a music taster session. 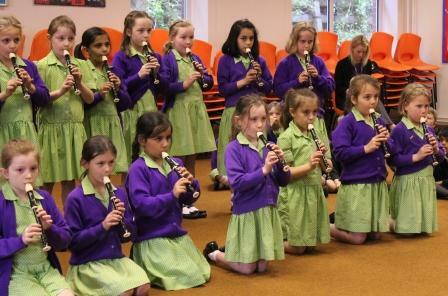 The girls in Year 3 began by playing a piece of recorder music they had learnt in their lessons with Mrs Tinniswood. 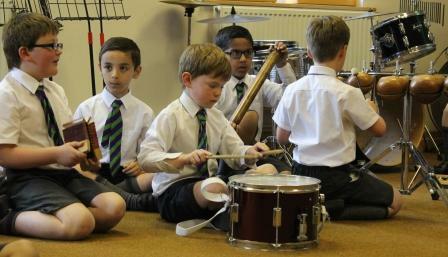 Year 3 boys then played an entertaining piece of programme music; they had imagined they were in a haunted house and used instruments to re-create the sounds they might hear. 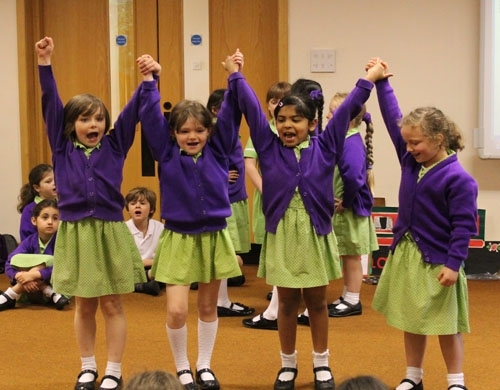 Finally, Year 2 children performed 2 songs (complete with dance moves) they had learnt in their music lessons with Mrs Williams.